Sell Quick California Need To Sell Your House Fast? We Buy Houses! Get Your NO COST Offer Today! We Buy Houses Any Condition! No Fees! No Commissions! No Repairs! Fast Closings! Stretching from the Greater Los Angeles area through the San Jacinto and Santa Rosa Mountains and the Coachella Valley to the border of Arizona, Riverside County is home to a wide variety of cities and towns. Large numbers of LA’s workforce have relocated to the Riverside area for its more affordable housing, but Riverside County is also home to Coachella Valley resort towns such as Palm Springs, Palm Desert, Indian Wells, La Quinta, and Rancho Mirage. Major cities in Riverside County include county seat Riverside, as well as Temecula, Moreno Valley, Corona, and Murrieta. It’s home to Temecula Wine Country, as well as major attractions like the Living Desert Zoo and Gardens and world-renowned Coachella Valley Music & Arts Festival. Want to sell your Riverside County property quickly? Whether you own a condo just steps from Downtown Palm Springs County, a house in an older neighborhood, or a new home in a new residential development, we will give you an all-cash offer and help you close fast. Why Should I Choose SellQuickCalifornia? We help Riverside County homeowners who are searching for potential home buyers. At SellQuickCalifornia, we buy homes in every condition and under every situation you could imagine. We also buy Riverside County houses in the shortest time frame possible. It makes no difference whether you live in the house or not. It doesn’t matter if your house is rented or if it’s in ill repair. We will buy it. Are you facing one of these circumstances? We make cash offers for Riverside County houses. If you face any of these reason list above, we can help offer a quick house sale solution. Contact us today at 916-287-1939 to learn how we have helped other homeowners just like you. With SellQuickCalifornia, you can avoid the costs, delays, and all the headaches of a traditional real estate transaction. We will give you an all-cash offer on your property quickly, coordinate your move or relocation, and maintain your confidentiality. With years of experience under our belt, we will make your real estate transaction as easy as possible. If you have a Riverside County home and have to sell it, we’d like to provide you a quick cash offer and close on it as quickly as possible. Can I Sell My Riverside County House Fast and Avoid Paying Realtor Commissions? YES! When it comes to selling your house fast, you must have a highly rated firm who is a reliable buyer. At SellQuickCalifornia, we buy houses in every corner of the state of California. And we buy houses in any condition. 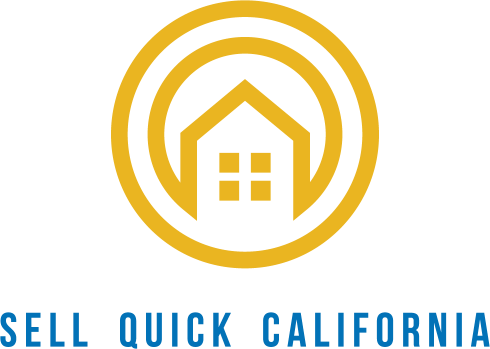 SellQuickCalifornia provides a team of trusted service providers to meet your every need. Need to Sell FAST? Get Your CASH Offer! Need to sell your Riverside County home ASAP? All it takes is a couple of minutes to tell us about your home and you’re on your way to a cash offer… fast! Sell Quick CA, was easy to work with! Great customer service and very knowledgeable. Fast too!! Great customer service, over delivered. Will definitely use Sell Quick Ca on my next property. Sell Quick California was really helpful and made sure everything was taken care of and quickly. I would definitely recommend Sell Quick California to anyone who’s looking to sell their home.